I love Lobster. Well truth be told I have an affinity for all crustaceans of the sea, but Lobster is the top of the list. From my first taste I was hooked. Growing up summers in Ocean City, NJ at my paternal grandparents summer home (yes I was a fortunate one) sometime in August every summer a client (or friend…memory is fuzzy) of my grandfather’s would have a crate of live lobsters shipped to the house complete with seaweed and ice, and the annual seafood boil meal would commence. (There were usually steamers as well as crabs boiled in beer….my mouth waters at the memory). It is important to note I am the eldest grandchild of 12 and my love of the pricey sweet meat of the sea made my grandmother announce that none of the younger grandchildren would be introduced to the little critter as it would start to get entirely to expensive. Did I care? 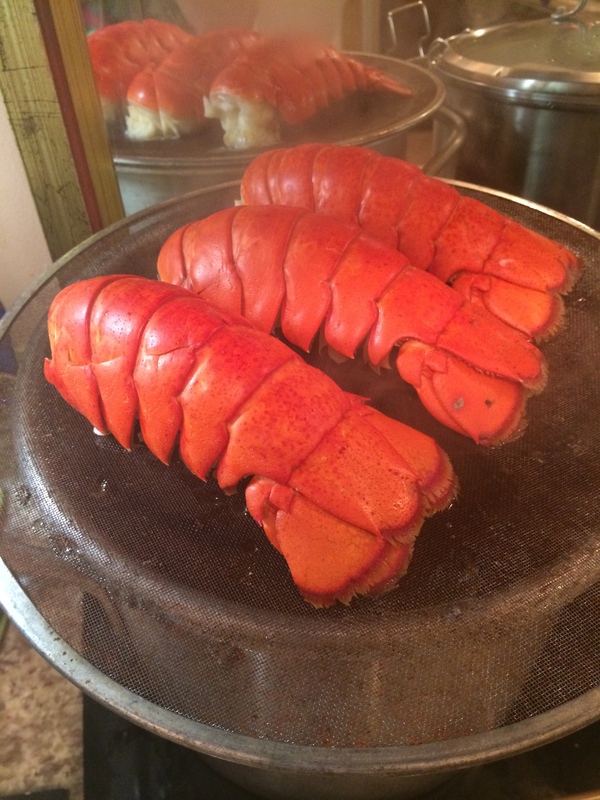 Sorry siblings and cousins, care I did not….it meant more lobster tail for me! I have enjoyed Lobster most of my life but have a confession. I have never cooked a live one myself. I am not sure I can do it. The scene from the movie “Julie and Julia” plays in my head where the hubby is singing “Lobstah Killah….” Yeah still haven’t done it. Of course I have no problem cooking up Lobster tails. I just black out the image of how they arrive to the fish monger near me. Why am I waxing so about the wicked yumminess of Lobster you ask? Well It was our Christmas Eve meal this year. Generally on Christmas Eve – “Feast of the seven fishes” for the Italian Catholics, I make Ciopino. Not an “italian” dish, but regardless with 7 different kinds of seafood in a delicious tomato based broth, it is one of my signature dishes. One I am known for and I will freely admit applauded for by anyone who has tasted it. It is my favorite meal to make, serve and enjoy. 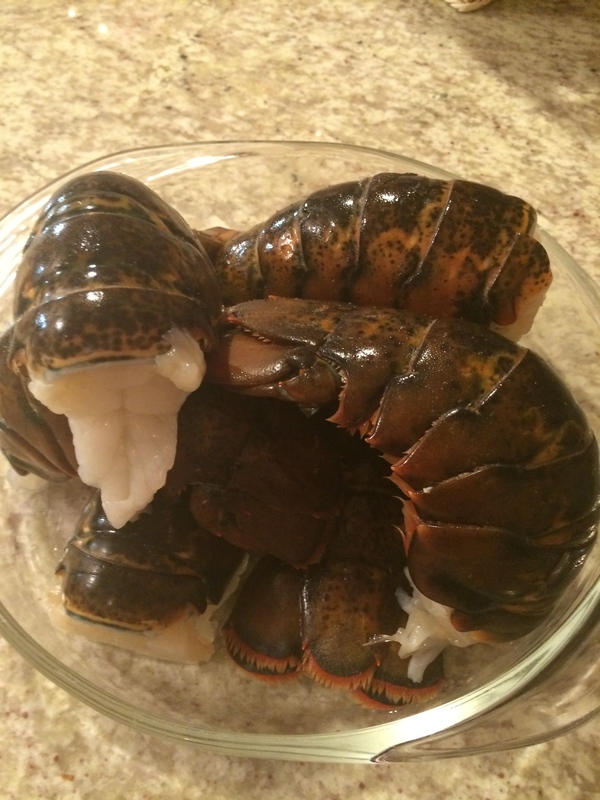 Unfortunately it is hands down the most expensive dish I make and as my budget is drastically different then days past the idea of the splurge combined with the almost certain dislike coming from the mini mouths in the house forced me to reconsider and so, simple Lobster tail seemed the best choice. But simple can be the best. 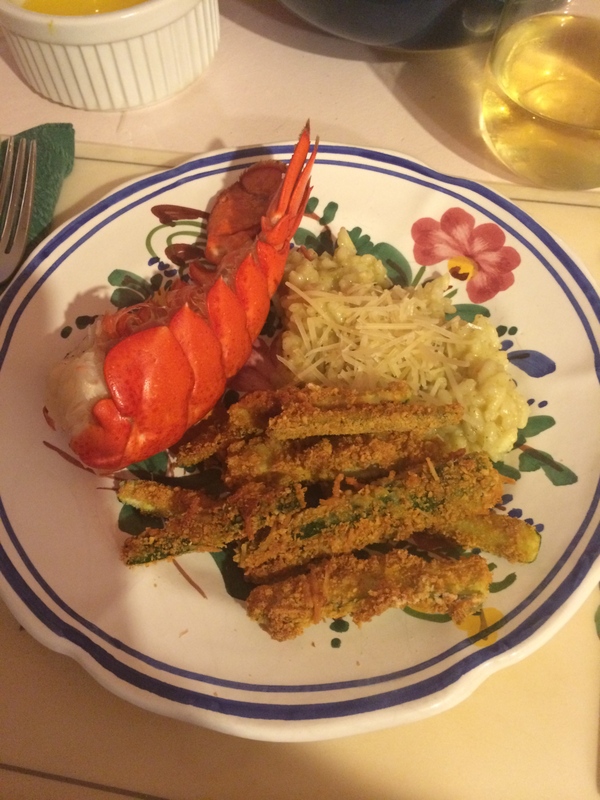 So Steamed Lobster Tails with Clarified Lemon Butter it was (with baby zucchini fries and parmesan risotto). You know what? 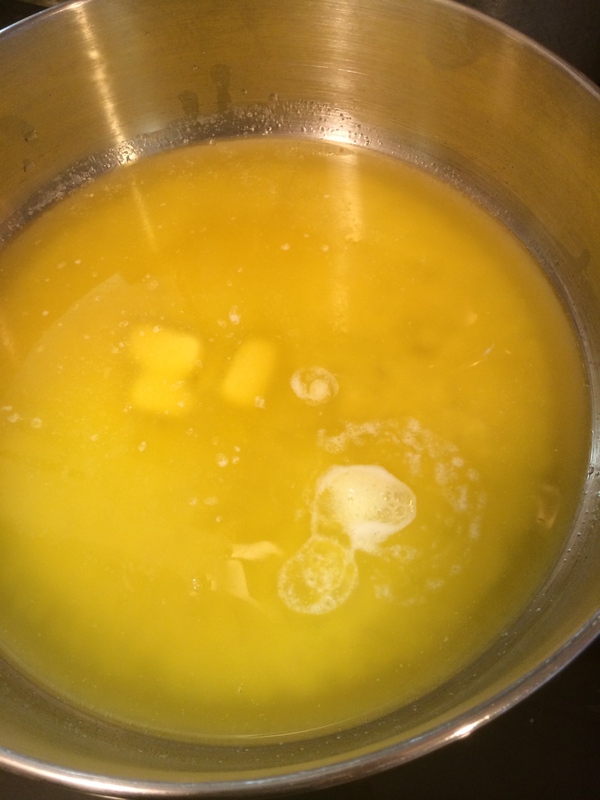 I had never made “Clarified Butter”. Seriously. It’s rather simple and totally worth the effort for sure. 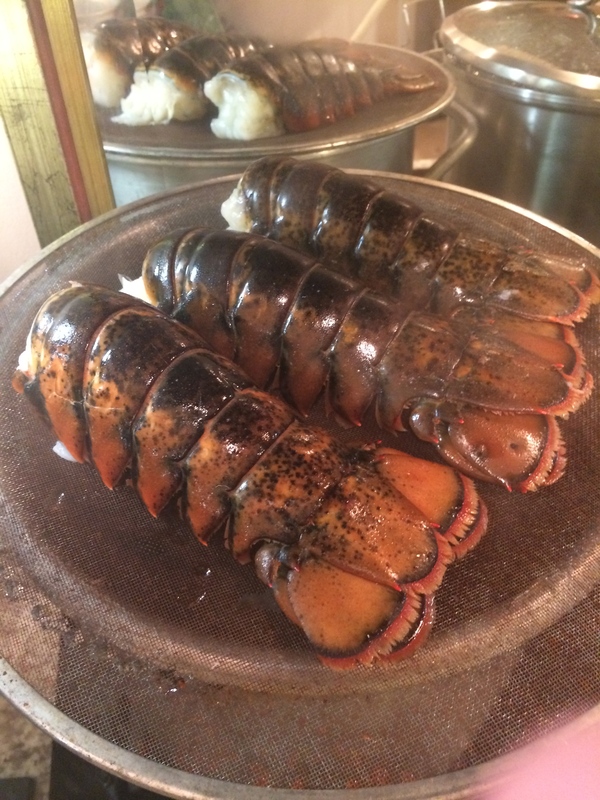 So here we go, a “recipe” if you can call it that, for steamed lobster tails and clarified lemon butter. 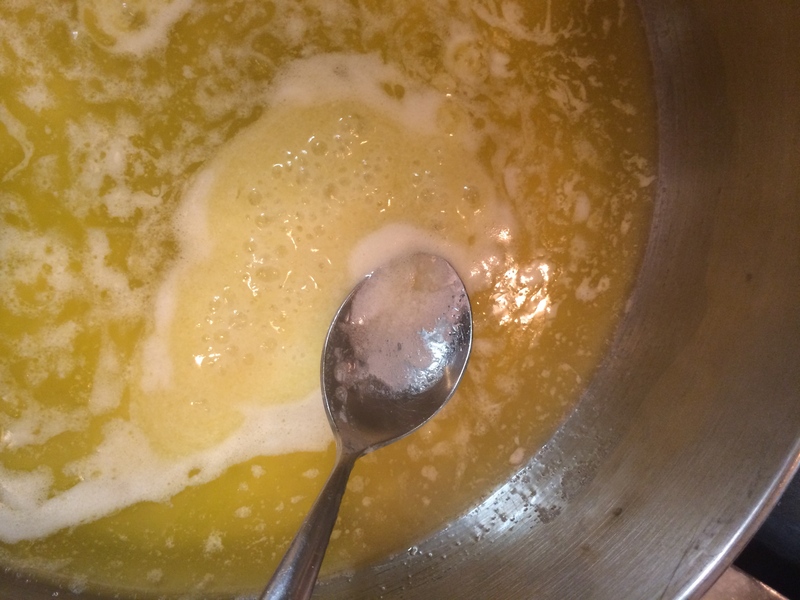 Clarified Butter is milk fat rendered from butter to separate the milk solids and water from the butterfat. Typically, it is produced by melting butter and allowing the components to separate by density. 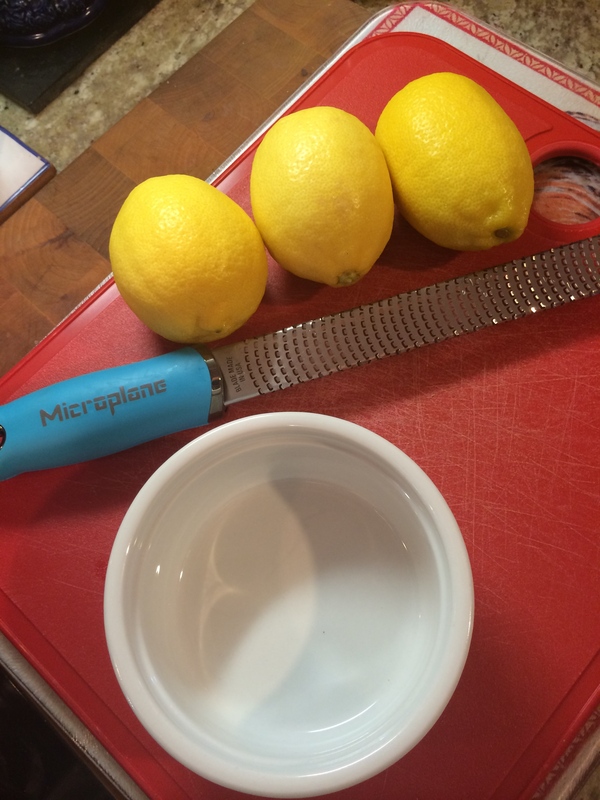 It’s simple to make and when you add Lemon Zest, the PERFECT accompaniment to Lobster meat. 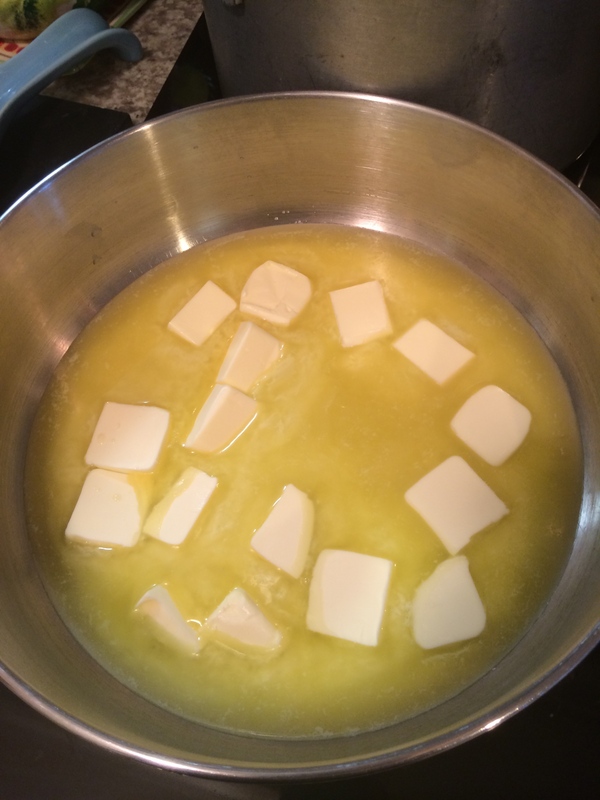 Take 2 sticks of unsalted butter, cut into pieces and put in heavy saucepan over medium heat to let it melt. After melted remove from the heat and let stand for a few minutes. Meanwhile you can skim some of the milky white foam from the top, then pour carefully into a container such as a glass measuring cup. 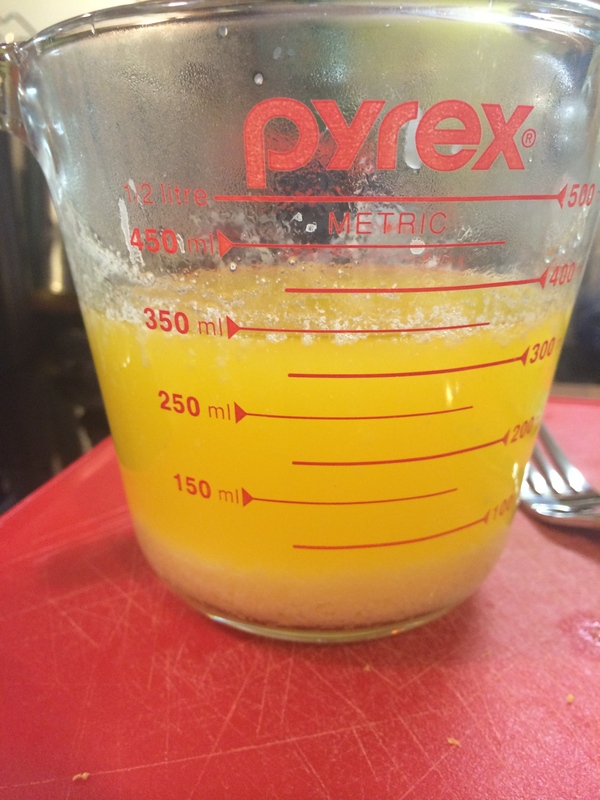 See how the milk fat settles to the bottom? Perfection. 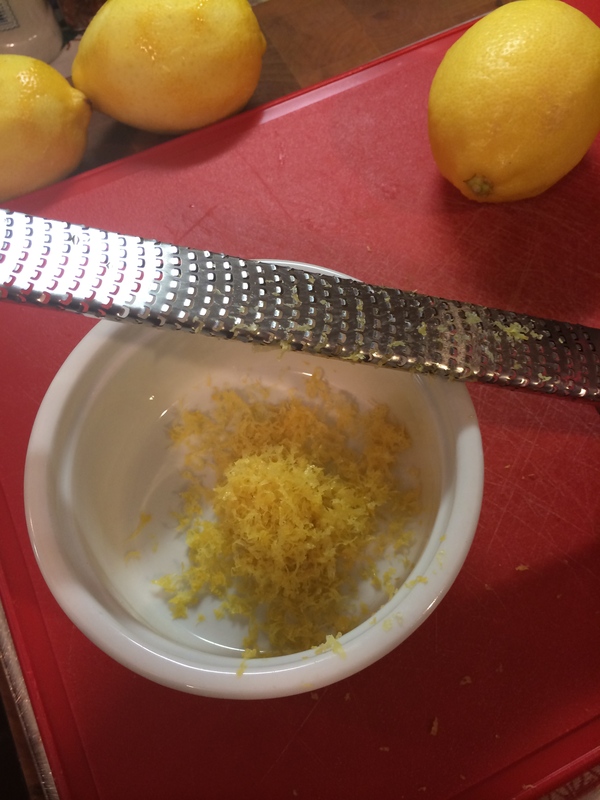 Then you simply pour the liquid gold into a dish and whisk in the Lemon Zest and Voila. YUM! Another simple and tasty treat. I prefer to steam rather than boil when it is just the tail. Keeps it moist and delicious and if you don’t over do it, less tough – as overcooking lobster meat can make it to tough and chewy. It should be cooked but still delightfully “melt in your mouth” like constancy – IMHO. I take a large pot, fill halfway with water and then I add: several Bay leaves, dried Basil, some Sea Salt (the larger pieces kind) and lemon juice. Bring to a boil and then place the lovely tails on top of a screen or in a steamer basket, cover for 7 – 9 minutes and the results are delectable! When the shell has turned that lovely Lobster red, and the meat is cooked through, you are ready! I have found letting them cool for a few moments makes it easier to remove from the shell, after you spilt it down the center with a cleaver of course. And that’s it. Dinner. All that’s left to do now is dig in. I don’t have a “rating” for this Lobstah ‘n’ Buttah meal because Lobster is a hit all around. Even with the mini monkey’s in the house. Well truth be told, Littledude turned up his nose, but he has eaten and loved Lobster meat in the past so I am going to assume it is just a phase he will eventually outgrow. Until then, more Lobster meat for me! Thanks for finally talking about >Lobstah n Buttah | Zia’s Kitchen <Loved it!